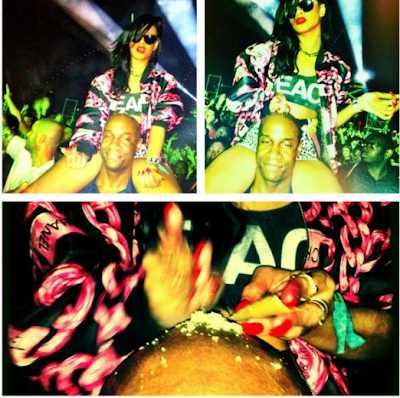 It’s not just Beyonce and J. Cole who love to party, it’s Rihanna too. During the Coachella this past weekend, Rihanna tweeted some pictures through Instagram and you bet this good girl is getting bad. Check these pictures out, tell us which ones caught your attention the most and why, we want to hear your reaction.